Harry (Henry on birth records) was born in Fairfield, Buxton, in the June quarter 1895, baptised 14 July at the Wesleyan-Methodist Chapel, Fairfield, Buxton. 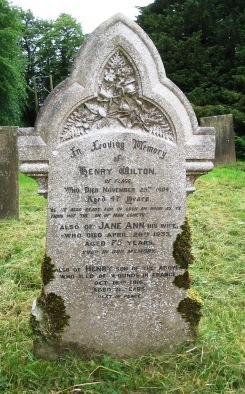 He was the son of Henry (Farm bailiff) and Jane Ann (née Bagshaw) Wilton. He had two older sisters, Ann and Sarah, and a younger sister, Susannah. In 1901 (Census RG 13/3270) the family were living at Cowdale Stud, Earl Sterndale, Buxton. Harry's father, Henry, died in the December quarter 1904 and in 1911 (Census RG 14/21175) Harry was employed as a "Page Boy" at the Rutland Arms Hotel, Bakewell, Derbyshire. His widowed mother was living at Macclesfield Old Road, Burbage, Buxton, with two of her daughters. During his time in the Army he recorded this as his home address as well. When reporting his death "The Buxton Advertiser" (27th October 1916) stated that: "Prior to enlisting he was employed on the Railway and was the third member of Burbage Cricket Club to be killed on active service." Harry enlisted at Buxton and although his Service Records have been subsequently lost, his Medal Index Card shows that he did not enter the War until after 1915 as he was not eligible for the 1915 Star Medal. The 2nd Battalion had initially landed at St Nazaire on the 11th September 1914 and on the 27th October 1915 transferred to the 71st Brigade in the 6th Division. "The Buxton Advertiser" (27th October 1916) gave the date for Harry's enlistment as "October 1914" and that after he had served: "... in Ireland during the Easter Rising, he was sent with a draft of men to France six weeks before he was killed". That would date it around the beginning of August. This being the case, Harry must have served with one of the Regiment's Territorial Force [TF] Battalions, before transferring to the 2nd which had been in France since 11 September 1914. On the outbreak of war, the 2/5th, 2/6th, 2/7th and 2/8th Battalions, moved to Ireland as part of the 178th (2/1st Nottinghamshire and Derbyshire) Brigade in the 59th (2nd North Midland) Division in April 1916. During the Easter Rising in Ireland, the 2/7th and 2/8th Battalions lost over two hundred men killed or wounded at Mount Street on 26 April and at the South Dublin Union on 27 April. The 2/5th, 2/7th and the 2/8th Battalions transferred to Le Havre in February 1917 for service on the Western Front while the 2/6th Battalion transferred to Boulogne-sur-Mer in February 1917 also for service on the Western Front. Bearing in mind where Harry lived, the most likely TF Battalion would have been the 2/6th, or "High Peak Rifles". In preparation for the forthcoming Battle of the Somme, the 2nd Battalion moved by train from Proven to Candas on the 2nd August 1916, arriving the following and marched to billets near Beauval. On the 5th August they moved to Mailly-Maillet Wood and began tours of duty on the Front line trenches to the west of Beaumont Hamel. The Battalion History states that the Battalion did not take part in any major operations but were engaged in occasional raids on the German trenches. On the 11th August the Battalion crossed open country and arrived north of Carnoy at 1.00 p.m. After dark the Battalion took over trenches south-west of Guillemont. Between Wednesday 13th and Sunday 17th September 1916 the 2nd Battalion Sherwood Foresters was engaged in fierce attacks around the Quadrilateral Redoubt. The War Diary recorded: "The Bosche machine-gunners now kept up a slow and very deadly fire, and anyone who popped his head above his shell hole was hit". The Battalion attacked the Quadrilateral Redoubt with a total of 681 men. 17 Officers and 421 Other Ranks were killed, wounded or missing after the attack. "Mrs Wilton of Macclesfield Old Road received on Saturday (October 21st) the sad news that her only son, Harry, had died of wounds in France. 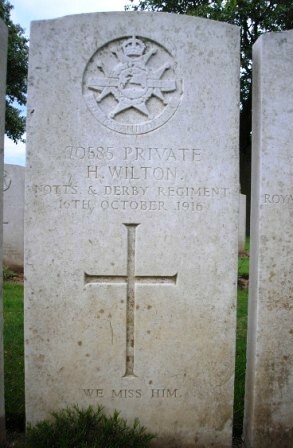 He was wounded on the 15th September and died at one of the Clearing Stations behind the front line the following day." This leaves some discrepancy, however, between this report and CWGC Records. 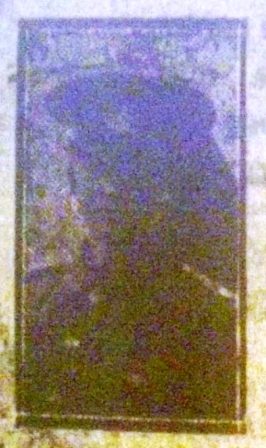 "The Buxton Advertiser" suggests that Harry died on the 16th September, whilst the Official date of his death is the 16th October. However, the inscription on his parents' headstone in Monyash (St. Leonard) Churchyard [see below] gives the date of Harry's death as the 16th October. "... the Battalion made ready to occupy and consolidated the positions captured and vacated by the Leicesters one and a half hours after the commencement of their advance; the companies were thus distributed "A" and remainder of "D" in the front line on a two-platoon front: "B" and "C" each two platoons strong, on a one-platoon front in support. The advance began with an interval of 150 yards between companies, and came M once under heavy machine-gun fire from the right front, and it was almost at once found that the attacking battalion was held up and unable to get on, so the Foresters dug in some 150 yards in rear of it. As the morning went on both battalions began to incur many casualties, and at 9.30 a patrol sent out from "B" Company to reconnoitre the German's trench running north from the Quadrilateral in front of the Leicesters, where men in British helmets could be seen, reported the trench strongly held and heavily wired; of this patrol the non-commissioned officer in charge was killed and two men were wounded. Towards the afternoon an enemy counter-attack seemed about to develop from the direction of Les Boeufs, but it was broken up by rifle-fire from the Foresters and the Guards on their left. Casualties were mounting up, especially among officers; Lieutenant-Colonel Hobbs was hit but remained on duty, and a message was sent back for Major Street and Lieutenant Mellor to come up. The night of the 15th - 16th was fairly quiet, though very cold, and a; daybreak on the 16th the position occupied by the Battalion was very heavily shelled, and again at intervals during the day, but information received was that at dusk the 1st Battalion West Yorkshires, from the 18th Brigade, would relieve the Foresters. As a matter of fact, however, no relief came, but at 3.30 a.m. on the 17th the Battalion was ordered to vacate at once the positions held and proceed to Maltzhorn Farm trenches, which were reached about 5.30 that morning. A wet and uncomfortable day was spent here, and then, on the morning of the 19th, in accordance with orders received, the Brigade marched via Mametz to Ville-sur-Ancre, where the Battalion was accommodated in tolerably comfortable billets in the village, and where a much-needed reinforcement of 180 non-commissioned officers and men joined from the base, under Second-Lieutenant Cleveland." "At 7.00 a.m. a message received from Company Sergeant-Major Rowe, "D" Company, stating that the gun pits had been captured, but that Major Street had been badly wounded during the early morning; half an hour later Second-Lieutenant Byles reported by runner that the objective had been taken without serious loss, but that several casualties had been since incurred from snipers and enemy machine guns 150 to 200 yards to the front. Captain Backhouse was now sent up to take command of "D" Company and to report on the situation, but was killed while going up and as no report was received by n a.m. Colonel Hobbs himself went to the front line to judge of events, and on his return asked the Brigadier for a reinforcement of two platoons and two Lewis guns to be sent up after dark by the supporting battalion. The orders for work which Colonel Hobbs had previously given were scrupulously carried out under shell fire, and during the night the gun pits were connected up and the fire and communication trenches were dug. The Battalion maintained its position during the 16th and 17th, being visited on the latter day by Major Sherbrooke and the four company commanders of the 1st Battalion of the Regiment, which expected to take over this portion of the line very shortly. On the 19th the Battalion was relieved by the 2nd Northamptonshire Regiment, and moved back to bivouacs in Bernafay Wood, arriving there early on the morning of the 20th. Command of the 2nd Foresters was now assumed by Major F. E Bradshaw, late Indian Army, and on this day the 6th Division was relieved and transferred to the First Army (General Home), going into Corps Reserve of the 1st Corps, the divisional headquarters being at Bethune, and the brigades in the town and surrounding area; the Battalion finally settled down about October 28th in fairly comfortable billets at Fouquereuil. “The Division had taken part as a whole in three general attacks on the Somme (15th and 25th September and 12th October), and had also carried out subordinate operations on 13th and 18th September and 18th October. 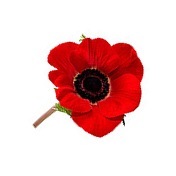 It had suffered casualties amounting to 277 officers and 6640 other ranks, and had well earned a rest." point, known to the troops as Grove Town, to deal with casualties from the Somme battlefields. died at the "34th Cas. Clg. Stn" on the 16th. · "Chesterfield Sherwoods on the Somme - 2nd Battalion, Nottingham and Derbyshire Regiment"